Besides being a very popular tourist destination, Canada is also attractive to students. It is a highly developed country with a great teaching methodology and valuable degrees. That is why, a lot of people want to enroll their children in Canadian primary or secondary schools, while adults also want to start their undergraduate or graduate programs there. To be able to do this, the students must have a study visa and study permit. This article will go through the details of the student visa and study permits. 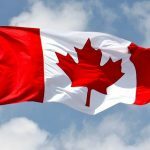 What is a Canada Student Visa? A Canada Student Visa allows the person who has it to start their studies in Canada. 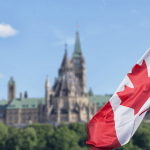 The visa for students is basically the same as a Canada Visitor Visa or an Electronic Travel Authorization (eTa), but the student also needs a study permit. So the Canada student visa is a combination of either a visitor visa and a study permit or an eTA and a study permit. You must leave Canada immediately once your study permit expires. The study permit will not allow you to get Canadian issued documents or Canadian government benefits such as health benefits. 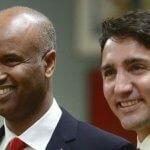 It will however create an easier path for you to be able to apply for a Canadian citizenship if that is your goal. To learn more about the application process for a Canada Study Visa, visit the article. As mentioned, you can only get a Canada student visa if you are enrolled in a Designated Learning Institution (DLI). DLIs are schools or universities which are approved by the provincial or territorial government to allow them to host international students. All primary and secondary schools that are in Canada are by default DLIs; however, there are many universities or other educational institutions which are not certified DLIs. You must not apply in those, since you will not be allowed to attend them even if they accept you. To check whether a university or educational institution is a DLI, follow this link. It will take you to the Government of Canada website which is the official institution for all Canadian visas. In the page, you must select the province or territory and it will generate a list of all institutions which are DLIs. You can check there whether the place you want to apply to is a DLI or not. If while you are attending the institution, it loses its DLI status, then you can continue studying there until your study permit expires. If your permit expires before you complete your degree, then you must enroll in a new institution which is a DLI to be able to get a new study permit. All international students who want to study in Canada and who need a visitor visa or an eTA to enter Canada must get a student visa and permit. The permit in itself does not allow you to enter Canada, but coupled with a visitor visa or eTA, it gives you permission to start your studies. If your study program is less than 6 months in Canada, you will only need a visitor visa or eTA, but not a study permit on the condition that you complete the program in 6 months or less. If you cannot complete the short program in 6 months, then you will need a study permit. If you are a family or staff member of a foreign representative to Canada who is accredited by the Global Affairs Canada, then you do not need a study permit. If you are a member of the foreign armed forces in Canada and are on official duties, you do not need a study permit, but your family members might need one. If you are a citizen of another country who has a Registered Indian Status in Canada, you do not need a study permit. Going to pre-school, primary or secondary school and you have a parent who is allowed to work or study in Canada. How long is the Canadian Student Visa valid? A Canadian student visa is valid only for the length of the study program and an additional 90 days. These 90 days allow you to prepare for leaving Canada or to apply for extending your study visa. So if you do not complete your program within the time that your study permit is valid, then you will need to extend it. 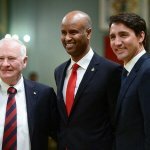 If you complete the program earlier than the study permit expiration date, then you will only have an additional 90 days and must leave Canada. You must provide proof that you have completed your program by submitting the notification of graduation from your school such as an email, a letter, or other document, or submit a copy of your degree, diploma, or certificate. The date when one of these was issued will be used as the date you completed your program and then your additional 90 days for preparation to leave Canada will begin. Does the Canada Student Visa allow you to visit your home country? The Canadian school system has many breaks in between the school years during the summer and winter. Naturally, many foreign students want to travel to their home countries during these breaks. The student visa for Canada allows international students to travel abroad during their holidays; however, when they return to Canada they must provide proof of their status. They must show a valid visa or eTA and their study permit. Even if the study permit is valid, the visa or eTA must be valid, otherwise the student is not allowed to enter Canada. So before you travel out of Canada, make sure that your documents are in order and that they are valid. If they are not, apply for extensions before you travel. Can I change schools with a Student Visa? If you need to change any of the conditions that are stated in your study permit. In these situations, you will have to change your study permit, so get a new one. You will have to go through the application process and get the study permit for the new school. If your study program is 6 months or less. Each of these options has additional requirements and conditions which depend on the individual student’s situation, so you must check with the Government of Canada and refer to our article on working while on a student visa in Canada for more details. If you were enrolled and completed more than one study program, you can get a PGWP for up to 3 years.